The Polish composer Krzysztof Meyer, born in 1943, is one of the composers who personally met Dmitri Shostakovich. Twenty years after Shostakovich's death, Meyer published one of the most important Shostakovich biographies of Gustav Lübbe's publishing house, in which he commented on his relations with the Russian composer and recorded his observations above all in Shostakovich's last years. He reported that after the completion of his 15th Symphony, Shostakovich had not written a single note for nearly a year and a half. For health reasons, he had taken such a long break from work for the first time in his life. And yet, according to Meyer, neither the many honors given to Shostakovich nor the terminal illness he suffered could have changed his personality, which he was able to preserve from his youth. Meyer always admired Shostakovich's great restraint and modesty, the almost shy appearance after concerts in which his works sounded. Meyer's description of Shostakovich's behavior during a performance is particularly impressive: "His face resembled a mask, his lips were pinched, and his eyes were fixed absent-mindedly on any point in the room." At the same time, Shostakovich had almost "childlike traits" in a relaxed mood Spontaneous immensely happy about the smallest details. Nevertheless, Meyer states: "Shostakovich remained an enigmatic personality throughout his life. Most of the people who dealt with him almost daily knew less about him than about long-dead composers (...) But everyone agreed that he had in himself the traits of a gifted artist whose reactions could not be foreseen and whose personal character did not always fit in with his artistic individuality. " When Krzysztof Meyer made these observations shortly before Shostakovich's death, he was well over thirty years old. He was born on August 11, 1943 in Krakow, studied piano and then took lessons in theory and composition from Stanislaw Wiechowicz in 1954. After graduating from the Chopin Music High School in Krakow, he studied at the Academy of Music there, where he graduated with distinction from two courses of study: in 1965 he received his diploma in composition with Krzysztof Penderecki and in 1966 his diploma in music theory. In the years 1964, 1966 and 1968 he studied for a few months in France with Nadia Boulanger. From 1965 to 1967 Meyer appeared as a pianist in the "Ensemble for Contemporary Music MW2" and performed in Poland as well as in numerous European countries. He also played his own compositions as a soloist. 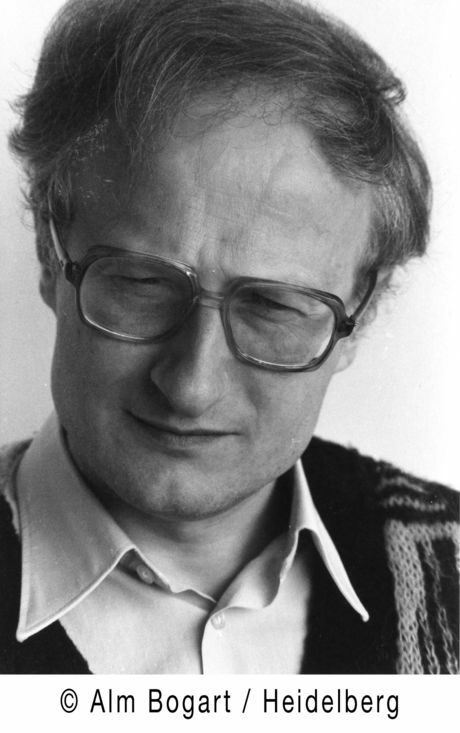 From 1966 to 1987 Krzysztof Meyer taught music theory subjects at the State Academy of Music (now Academy of Music) in Krakow and was from 1972 to 1975 as a vice-rector, from 1975 to 1987 he held the Music Theory Chair. From 1987 to 2008 he was a professor at the Musikhochschule in Cologne, where he led a master class in composition. Meyer held numerous lectures on New Music in Germany and abroad (among others in the Soviet Union, in East and West Germany, Austria and Brazil). From 1985 to 1989 he was chairman of the Polish Composers Union. "Of course I'm a Polish composer by nature and conviction," Meyer wrote in a letter to Sikorski Publishing Director Hans-Ulrich Duffek in 2009, "but I'm also a European. I do not care if I live in Poland or anywhere else. I can live and work as well in the West as in Poland, if only I find friends and performers of my music. But when I live in Germany, I feel enriched because the German music life is incredibly extensive and gives me a variety of impulses. " On 29.03.2019, the premiere of Meyer's new orchestral work "Miroirs au carré" will take place in Katowicze, performed by the National Symphony Orchestra of Polish Radio and José Maria Florencio. For May 7th 2019 the premiere of an new orchestral work by Krzysztof Meyer is announced in Poznan. The work was commissioned by the Poznan Philharmonic.